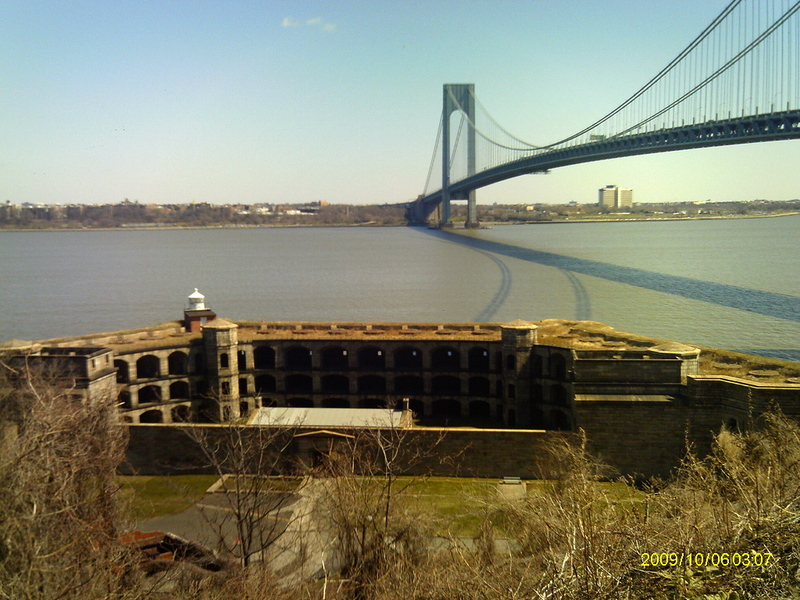 Brooklyn’s Fort Hamilton was one of the key installations in the New York Harbor fortification scheme. It was a Third System fort begun in 1825 on the Brooklyn shoreline to work in concert with Fort Lafayette in the Narrows itself, and Forts Tompkins and Richmond on Staten Island, to prevent (probably British) ships from entering the Upper Harbor. A young Captain Robert E.Lee was stationed at Fort Hamilton in the 1840s, the four forts I mentioned and the numerous others as well. Unlike the rest, Fort Hamilton is still an active military base. I lived at “the fort” from 1957-1961 and loved it! That was, of course, before the bridge. I am wishing to go back and visit. Carole, thanks for the comment. 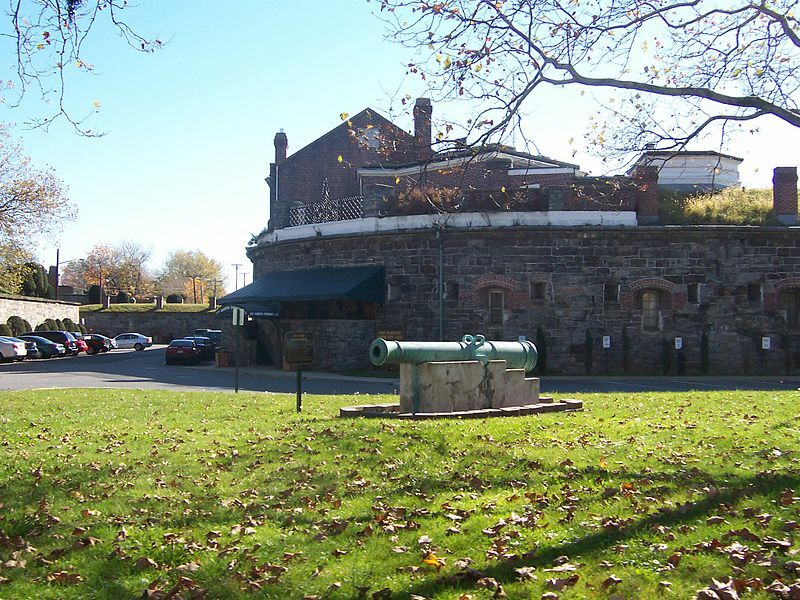 Fort Hamilton is a special place and plays a unique role in our nation’s history. I would have loved to visit in the years before the bridge. It must have seemed like a tiny corner of the world, and yet with New York City right there.